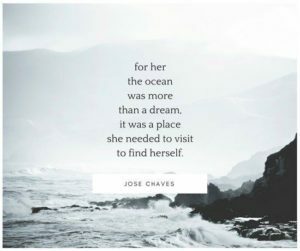 Some people respond greatly to the call of the ocean; its wide vast and wild nature draws people in and makes them feel at peace. 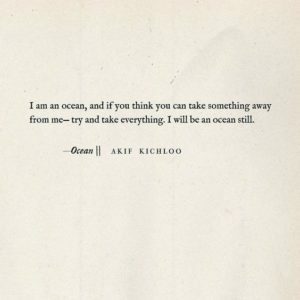 That is why we decided to put together some inspiration ocean quotes that will appeal to the ocean-lover in all of us. 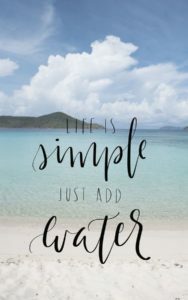 So, if you are looking forward to days at the beach with your feet in the sand and the salt in your hair, then you’ll definitely enjoy this compilation of quotes. After you read them, close your eyes and pretend you’re really there. Ahhh, I can see it now! Pass the sunscreen, please. There is nothing more peaceful than the sound of the ocean roaring. 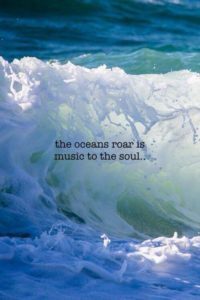 It is like music to the ears of eager beachgoers. If you can’t make it to the beach, invest in a sound machine. 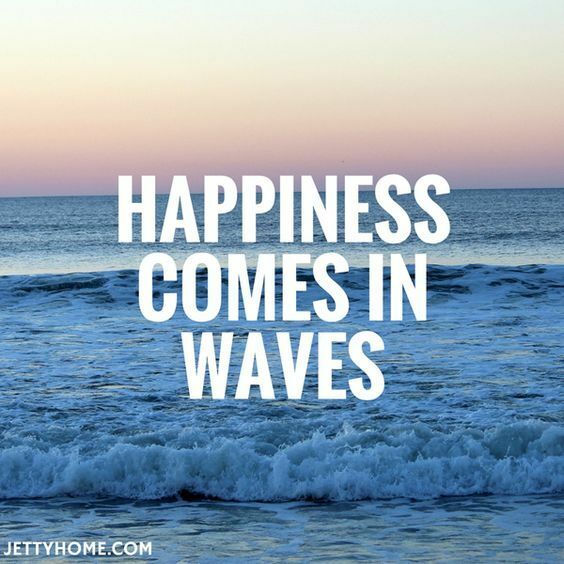 It won’t have the same effect, but you will definitely be more relaxed listening to the waves roll in. The natural way of the tide going in and out of shore is beauty and love at its finest. 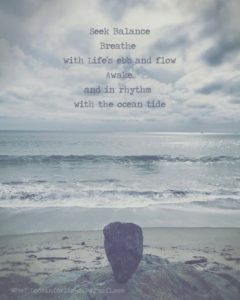 What a wonderful heartbeat we get to experience as we sit on the beach and watch the tide roll in and out. 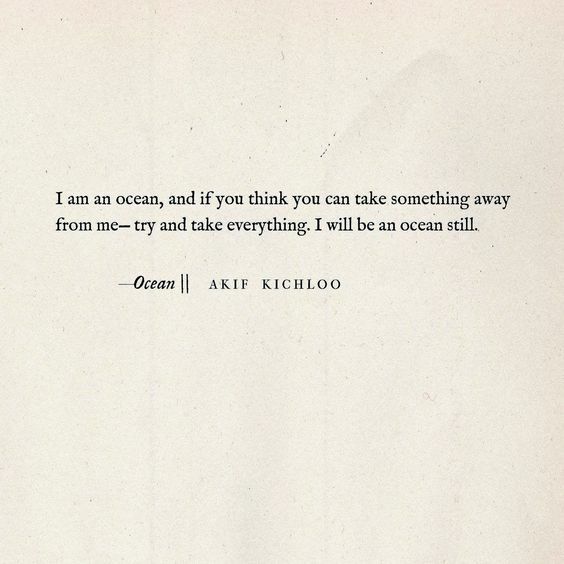 Being like the ocean is something to strive for. 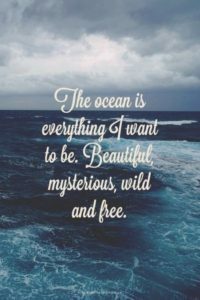 The ocean is beautiful, mysterious, wild, and free. 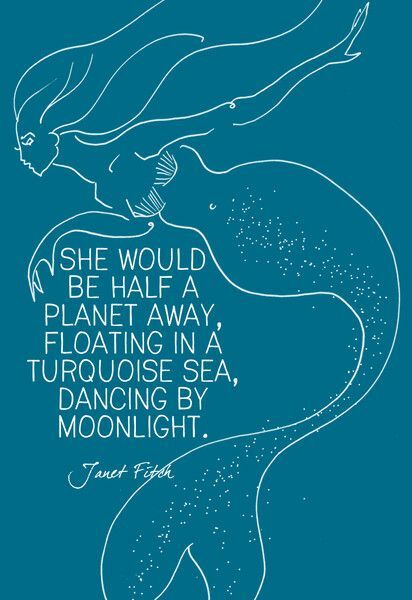 And, as humans we should be too. 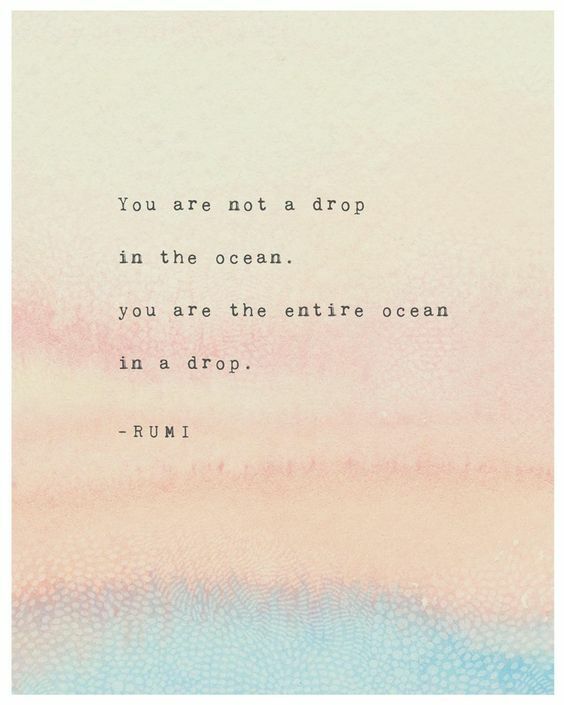 We are as deep and complicated as the ocean, with so much under our surfaces. 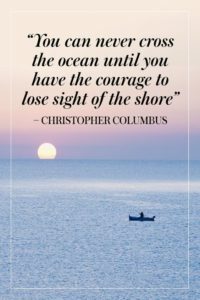 The shore is a safe place, but if you are looking to advance in life, you must take the chance and lose sight of your safe place. Take the leap and make an adventure happen. It’ll be worth it in the end. 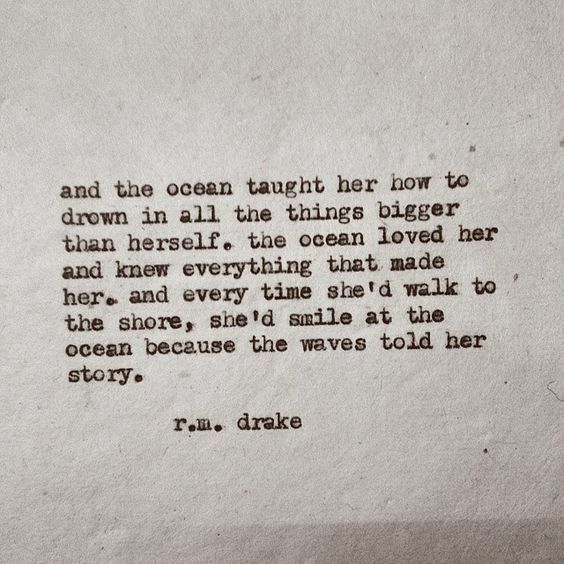 The ocean is a great metaphor for love. The ocean is endless, much like love. 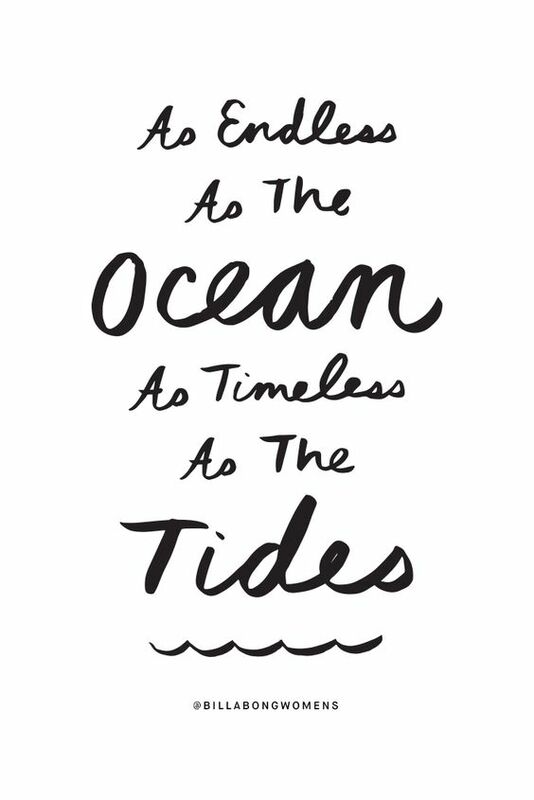 And, like the tides, love never gets old. It can only stay steady or become stronger. 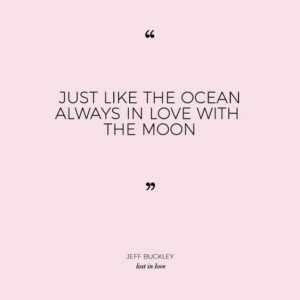 So, love like the ocean. 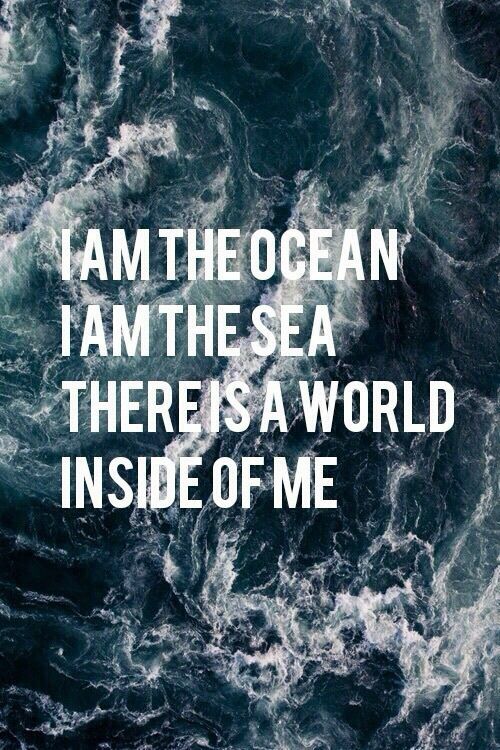 The ocean, like people, have many sides. 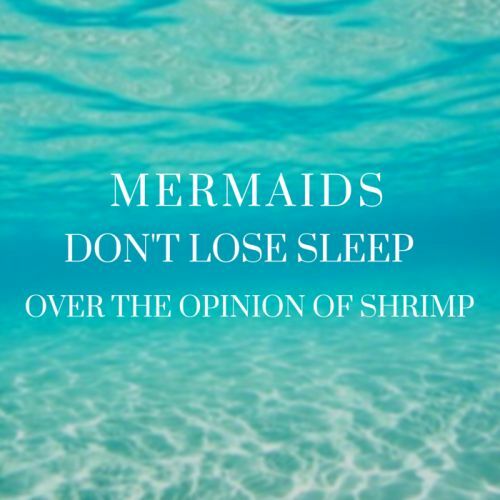 So, it is very easy to fall in love with the deep majestic waters of the sea. 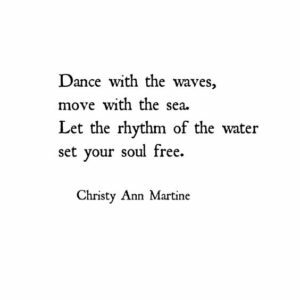 You must be careful, especially when you swim deep, but when you’re near the shore and the waves kiss your feet, there is no better feeling. 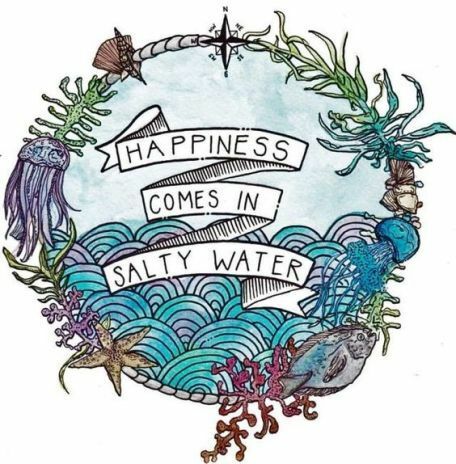 Many people find happiness at the ocean. Whether is it sailing, swimming, or simply being a beach bum in the salty air. 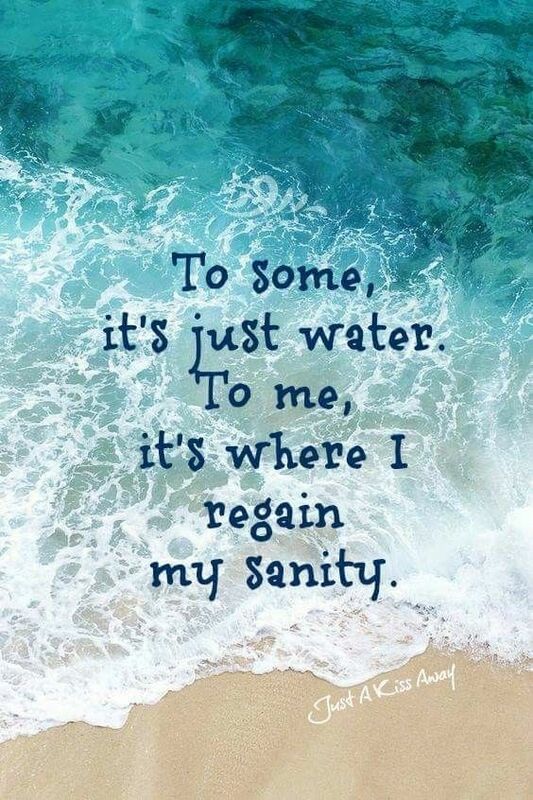 The ocean is calming and a sort of therapy for people. 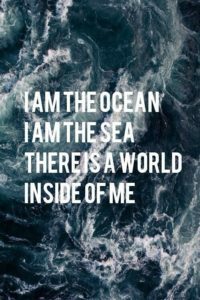 The ocean can make a person feel so connected to themselves and the world around them. 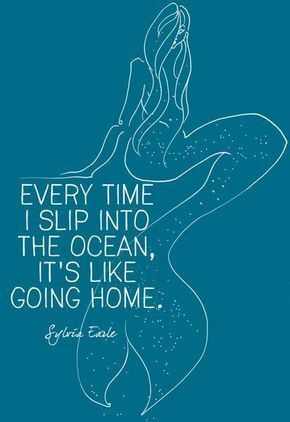 So, if you like slipping into the sea in order to really feel, then you can definitely relate to this quote; it’s like a home you never had growing up. Life, like the ocean is always beautiful. 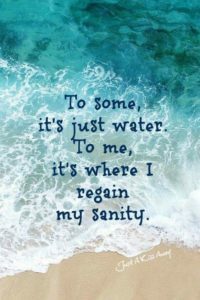 But, it may have its rough spots along the way. 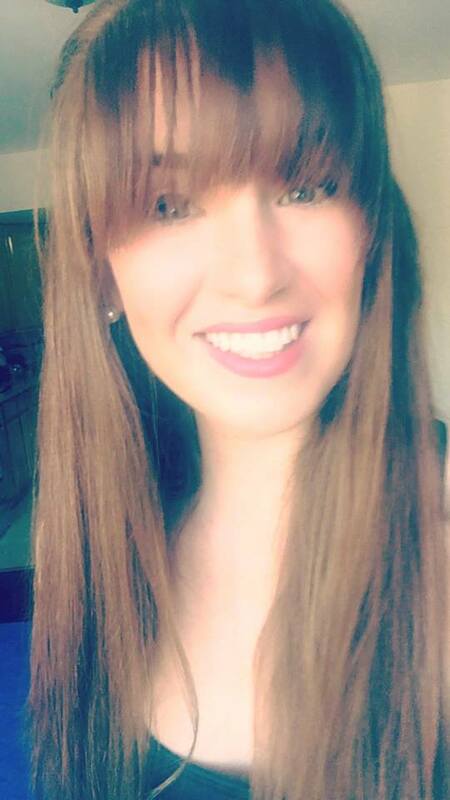 Always remember to look at life with a new perspective. 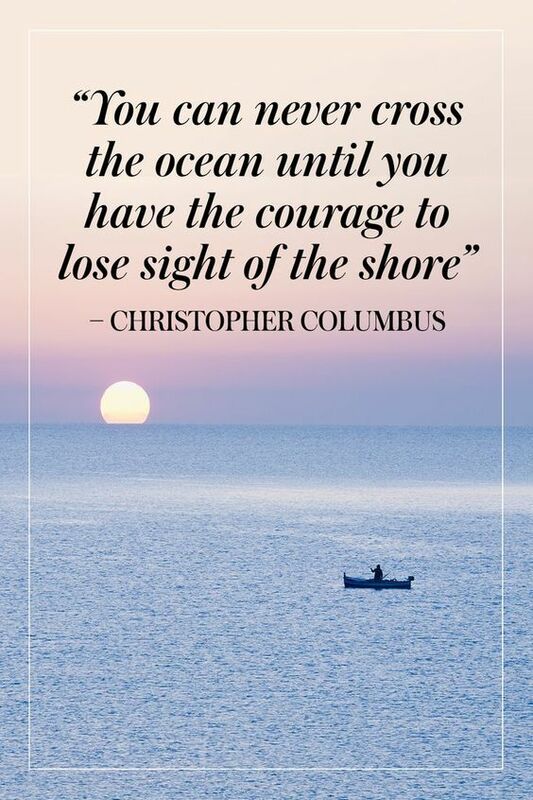 It will make your difficulties seem much smaller. 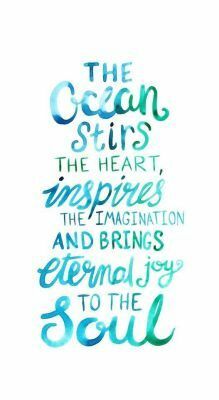 Deep minds and deep-thinkers love the ocean because they can relate to their hidden secrets down below. 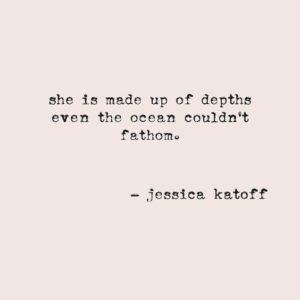 Not every person can understand the power and depth of the seas. Floating on the water and feeling the rhythm of the waves under your back allows you to feel totally connected with nature and yourself. 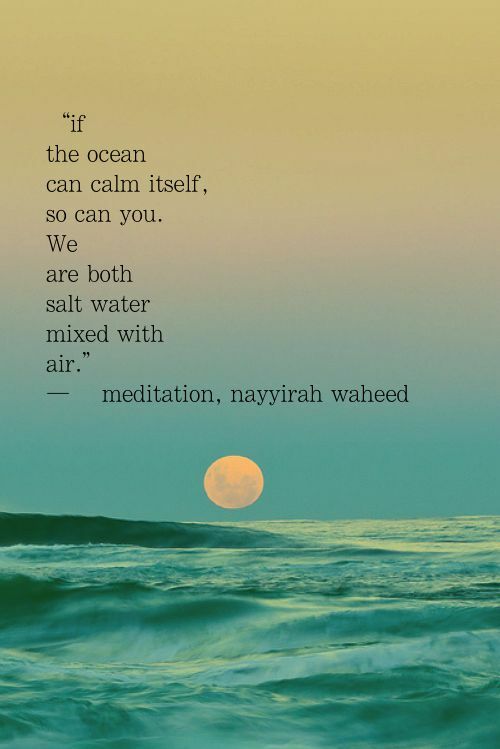 Don’t ever underestimate the power of natural self-care. 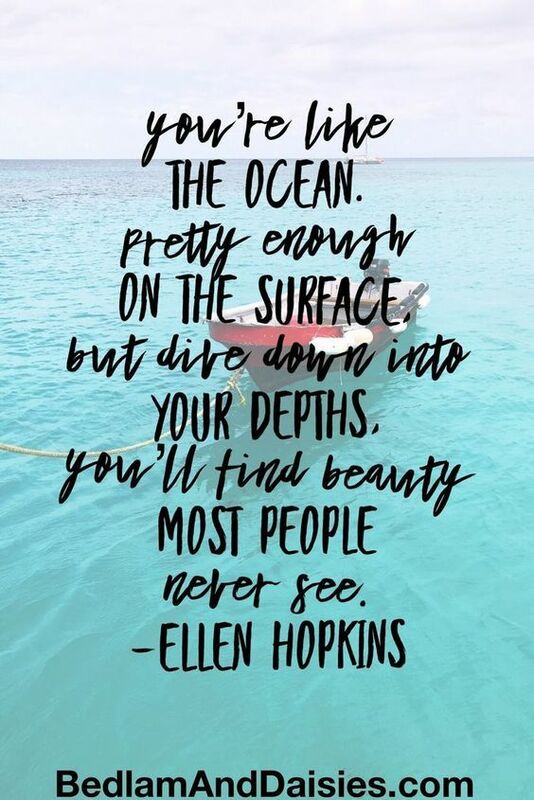 People are like the ocean- pretty on the outside and deep under the surface. 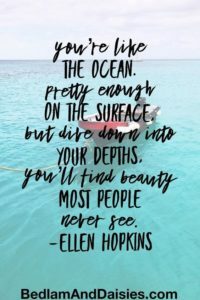 You’ll never know how deep someone is until you start asking questions and diving in, so never judge someone from their surface appearance. 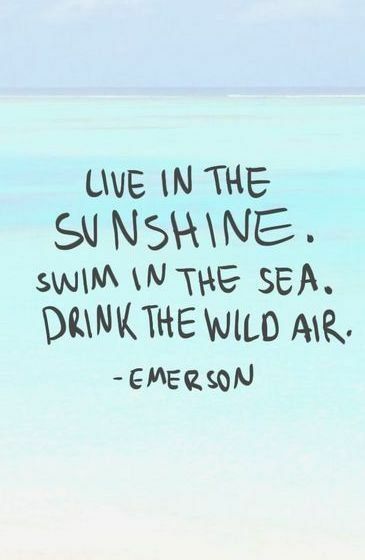 Always be wild. 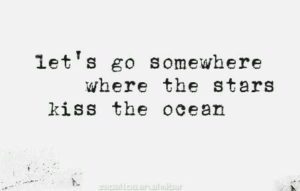 And always follow natural adventures. 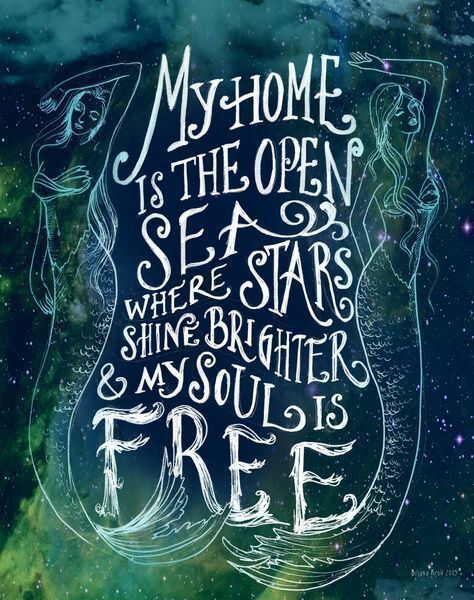 The ocean is our playground, a place the universe gave us to explore. 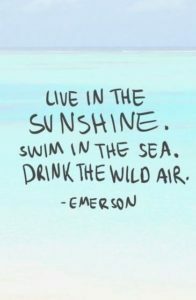 So, jump in and get busy living. 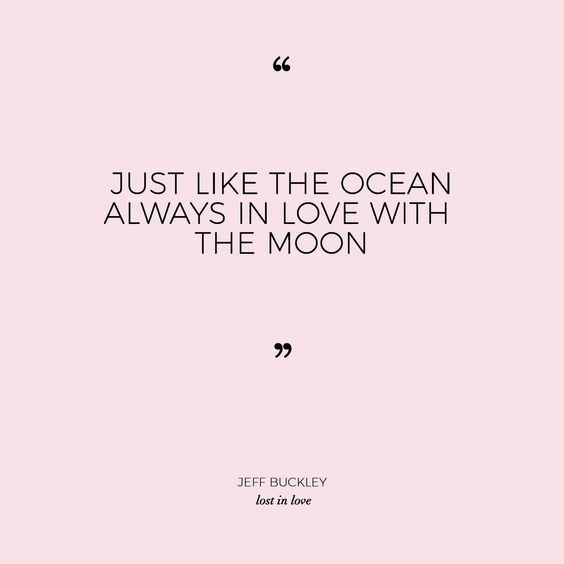 The ocean and the moon are in love. 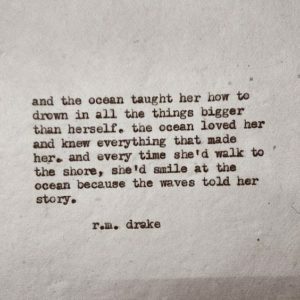 The ocean moves the tide to and from the shore. There is an undeniable magnetic attraction that has more power than we know. 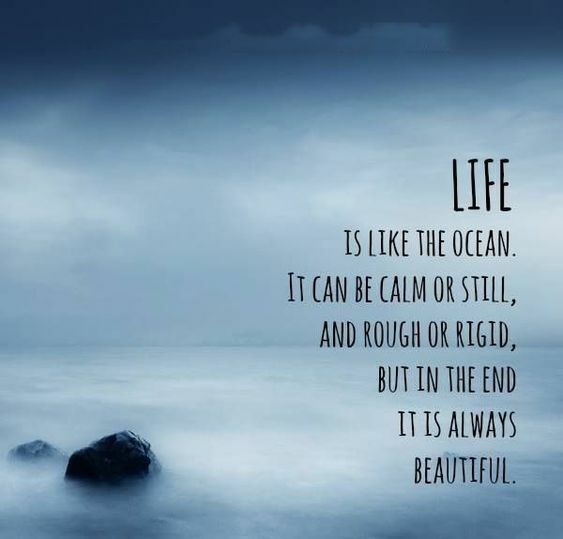 Life is not always easy. 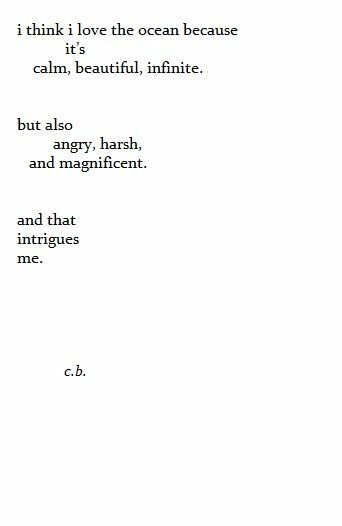 But, the trick is to learn to roll with the punches. Or rather, surf the waves that life throws at you. Once you learn how to do that, life will be all smooth sailing. 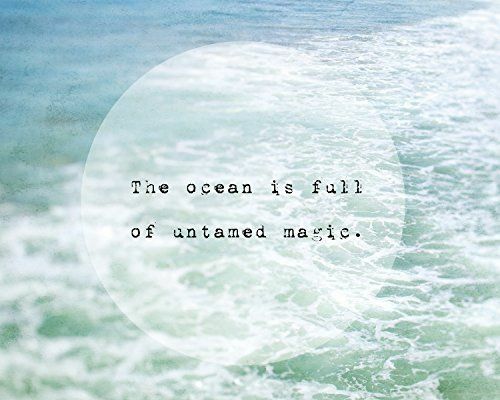 The ocean has a lot of magical powers. It can heal you when you are broken. 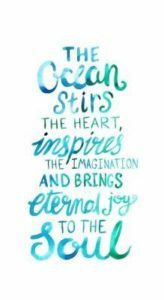 It can inspire your imagination and creativity. 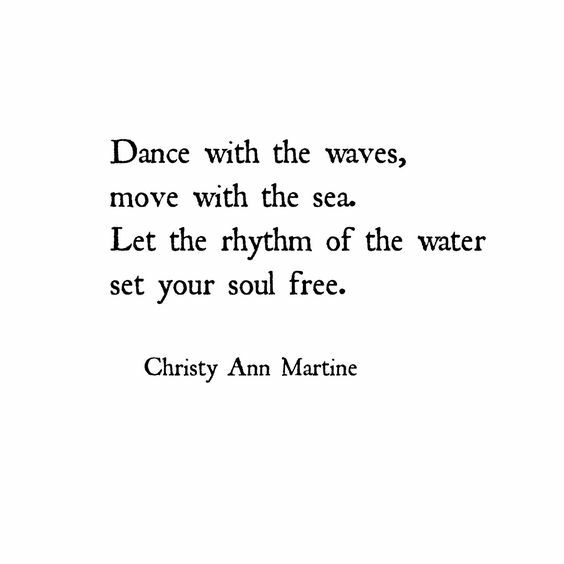 And, it can bring joy to your soul. 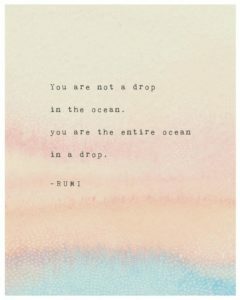 You should consider yourself very lucky if someone sees the whole world inside of you. This means that you are truly loved. There is no need for them to look any further because you have everything they need. 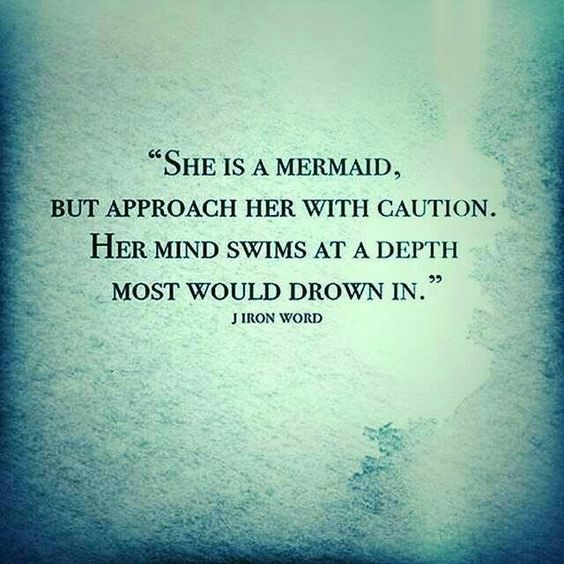 Some people are much deeper than others. Deep-thinkers and avid dreamers are the best kinds of people because they are the ones full of hope, ideas, and wisdom of the world. 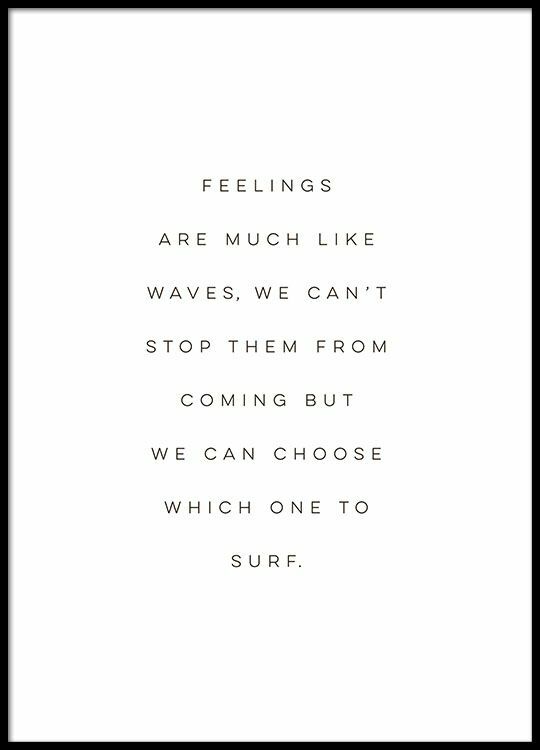 Some feelings are hard to avoid, much like waves. 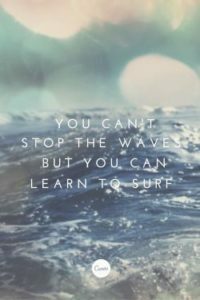 But, when you learn to surf, you’ll have an easier time dodging the ones you want to avoid. 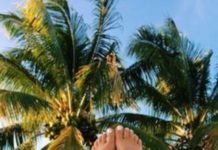 It may take some practice, but it’s self-care in the making and so worth all the falls off the board. Have you ever noticed that the stars shine brighter when you are in the middle of the ocean with nothing around? 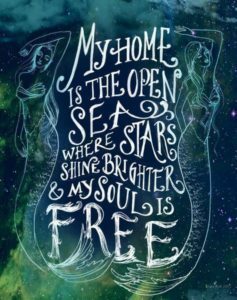 That is where your soul is most free and natural- away from distractions and day-to-day stresses. 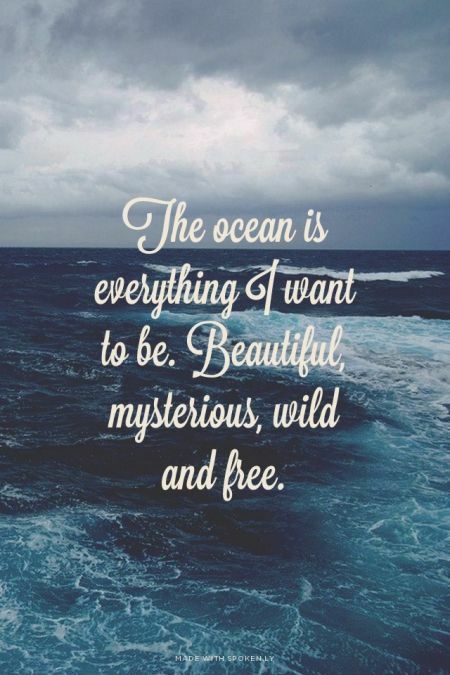 The ocean is a wild, free, but also a very calming natural wonder. 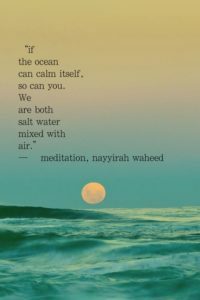 Many people find that their best self-care is done at the beach with their toes in the sand, the salty wind in their hair, and sunscreen on their skin. 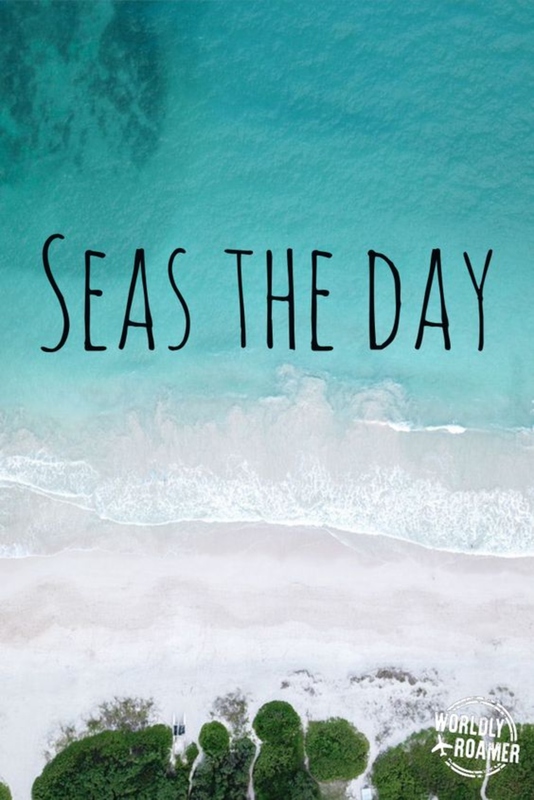 Beach bums live for the summertime and definitely never say ‘no’ to a beach day. 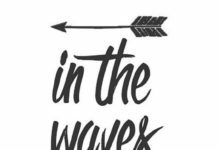 Then there are others who love playing in the water, swimming in the waves, or even surfing to the shore. 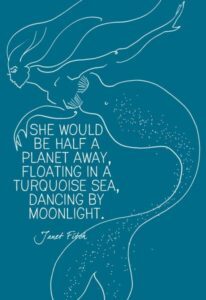 It makes them feel wild and free and capable of whatever life throws at them. 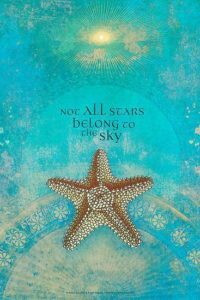 Then there are the sailors of the world, who would do anything to go out into the middle of the ocean, where they can’t see the shore and look up into the endless miles of blue sky with the sun shining on their faces. 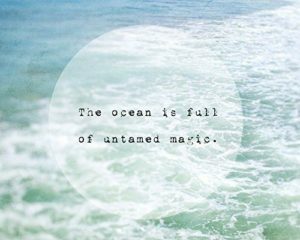 But, the ocean also can be scary and mysterious, which is why it works as a great metaphor for people. 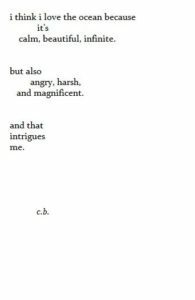 People have many sides to them, but often times we only see the surface. 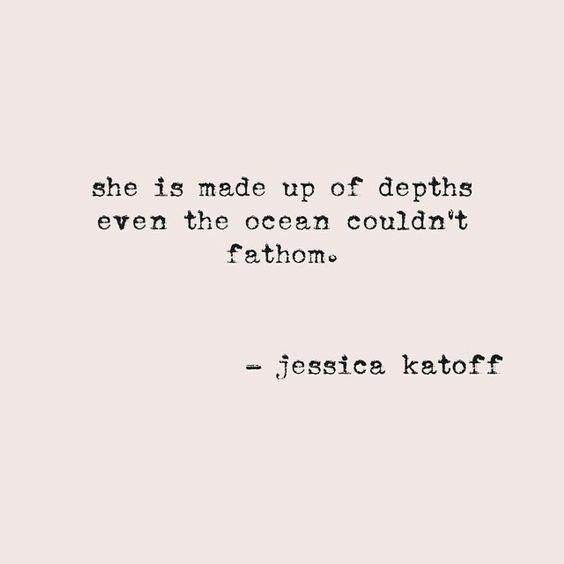 The rest is hidden underneath, like the secrets the ocean keeps. 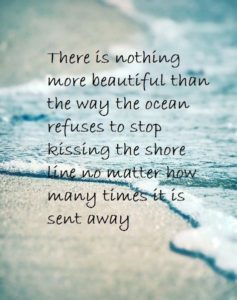 In a more positive way, the ocean can be used as a metaphor for love too. 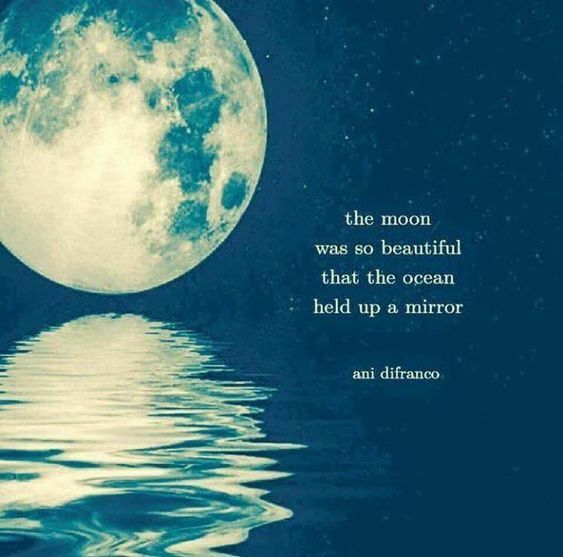 It can represent the depth of love. Love can also be understood through the magnetic attraction of the moon and the tide; the way it follows each other in a natural heartbeat rhythm. 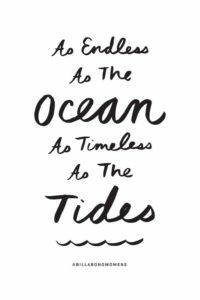 Though the ocean is merely an old natural spectacle, it is always relevant and wise. 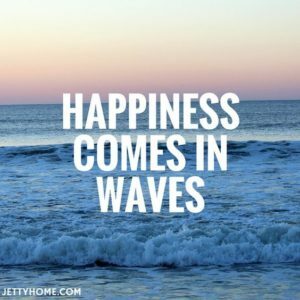 It can heal us when we are sad, make us feel happy when we need joy, and inspire us to be ourselves.